Get all the latest information on our offerings. Sign up for Homespun newsletter today. Take exciting lessons by hot young players as well as by legendary music icons. Get together with your friends and JAM! Learn traditional and contemporary blues and bottleneck slide guitar styles from some of the world's top players! Study with masters of bluegrass! Learn from some of the best artists in a variety of styles and genres, like alt-country star Steve Earle! We have fabulous vocal and harmony singing lessons as well as top instrumental instruction. Get timeless tunes, playing advice and techniques from some of the great traditional masters. Access your Digital Download Library, buy digital downloads or hard copies of hundreds of titles, all RIGHT HERE! Jamming the blues with Catfish Keith, Uwe Kruger, Happy Traum and Mike Dowling. 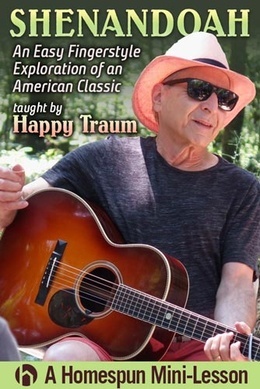 This website offers more than 600 lessons in a variety of roots music styles taught by top performing artists. Although most of our products are still available as physical DVDs and CDs, the medium of choice is now our download/streaming service. You can instantly access our complete library, purchase on line and work with these jam-packed lessons on your favorite computer or mobile device. Learning and improving musical skills has never been easier or more affordable. Keep checking her for exciting new products, announcements and fabulous discount sales. 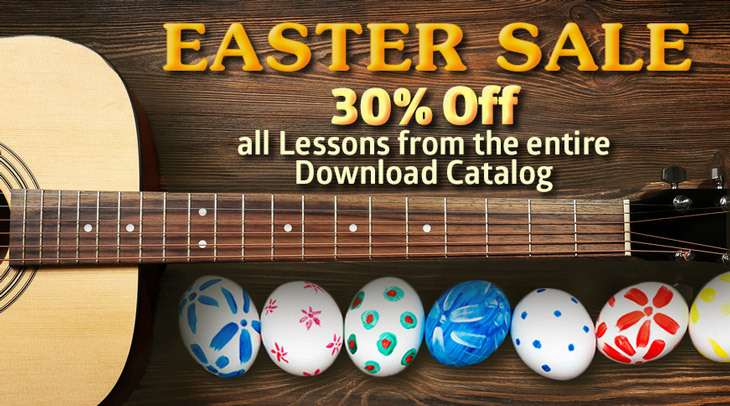 This weekend we are offering a 30% discount on every download title in our catalog, site-wide. Take advantage of this sale and pick some great lessons. Shop Now! 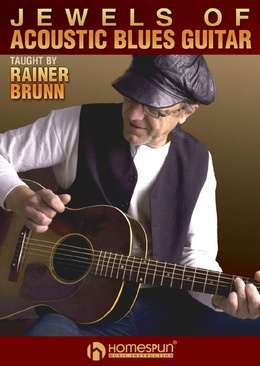 In his first lesson for Homespun, the excellent German fingerstyle blues artist Rainer Brunn teaches five classic numbers that will bolster your repertoire and expand your arsenal of licks. Rainer brings his formidable chops to this carefully organized and articulately-taught video. 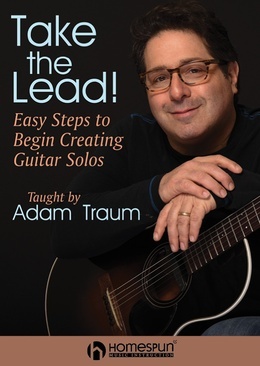 Learning guitarists: If you know your basic guitar chords and now want to start picking out melodic solos, you’ll love Adam Traum’s new course! Using familiar folk and bluegrass classics as examples, Adam shows in clear, simple instruction how to build single-string melodies and, eventually, have the tools to start improvising lead breaks. This lovely arrangement for solo guitar will delight novice and intermediate fingerstyle players who are looking to build fingerboard technique while developing a methodolgy for creating instrumental pieces using the compelling sounds of dropped D tuning. Play Blues in "A" Several Ways! 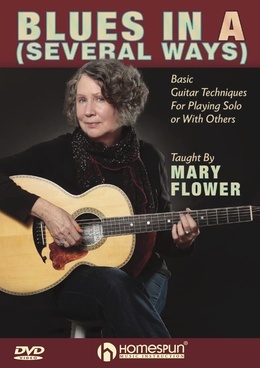 On this enthralling, user-friendly lesson, the great fingerpicking blues artist Mary Flower gives early/intermediate guitarists the tools for developing easy but effective solos in the key of A. She teaches a variety of interchangeable parts, so you and another player can trade licks, or you can simply use them yourself in an improvised solo.